Ms. Granberg’s practice encompasses a broad spectrum of environmental matters including regulatory compliance, transactional work, and litigation. 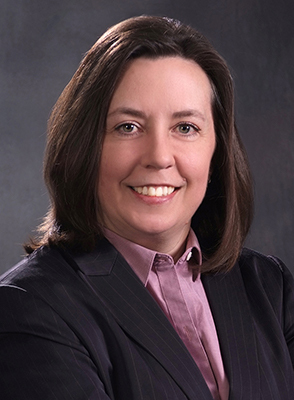 In her work she regularly handles cases involving RCRA, CERCLA, the Clean Air Act, the Clean Water Act, the Oil Pollution Act, the Emergency Planning and Community Right-to-Know Act, the National Environmental Policy Act, the Occupational Safety and Health Act, and state equivalent regulations. She assists clients with environmental audit and voluntary disclosures; voluntary cleanups; administrative, regulatory enforcement, and permitting proceedings; air permitting, including Title V permitting; environmental due diligence and site investigation; remediation of sites such as leaking underground storage tanks and dry cleaners; and redevelopment. Ms. Granberg’s experience is extensive. A full list of additional information is available upon request. Her work involves areas of law such as hazardous and solid waste, hazardous materials (including, but not limited to, asbestos, silica, lead-based paint, mold, and methamphetamine), pretreatment and discharge permitting, emergency planning and community right-to-know reporting and planning, risk management planning, and Occupational Safety and Health (OSHA) compliance and enforcement. Ms. Granberg advises clients and helps manage environmental and workplace accidents and investigations. Asbestos compliance and enforcement is a specialty area of practice for Ms. Granberg, as is the regulation of methamphetamine-affected properties. She is a former member of the Colorado Solid and Hazardous Waste Commission and a current member of the Colorado Environmental Professionals Association, for which she co-chairs the Regulatory Affairs Committee. Ms. Granberg is a past president and current member of the Colorado Environmental Management Society. She is the current environmental law article coordinating editor for the Colorado Lawyer. She has served on advisory committees to the Colorado Department of Public Health and Environment concerning the development of regulations pertaining to school chemical laboratories, and she participated in various stakeholder groups for the development of regulations regarding asbestos in soils, methamphetamine-affected properties, and abatement of asbestos. She is also a member of the Jefferson County Local Emergency Planning Committee.